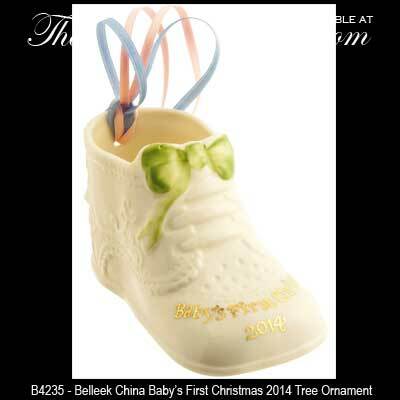 Belleek China Baby’s First Christmas 2014 Tree Ornament. 3 3/4" Long x 2" Wide x 2 1/4" Tall. Ready to Hang with the Included Blue and Pink Ribbon.